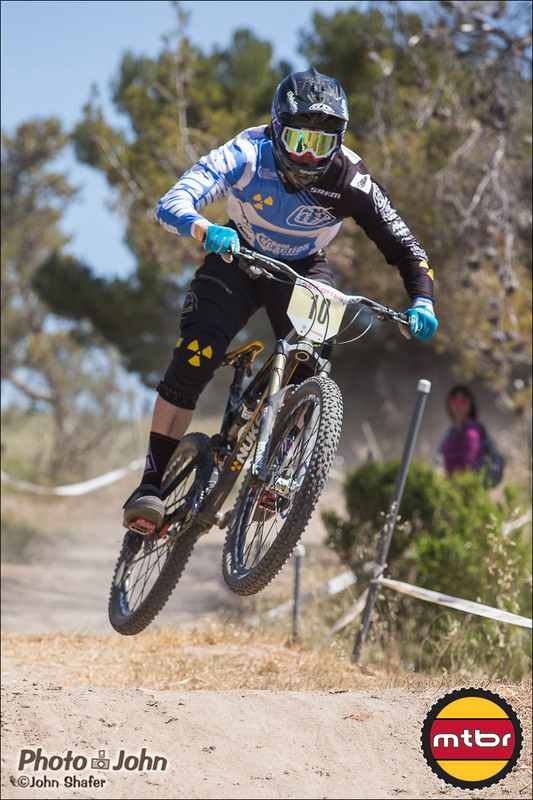 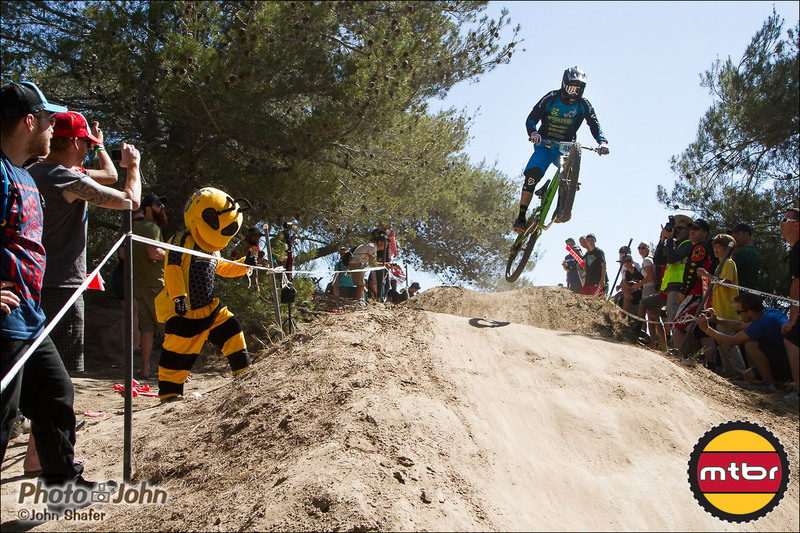 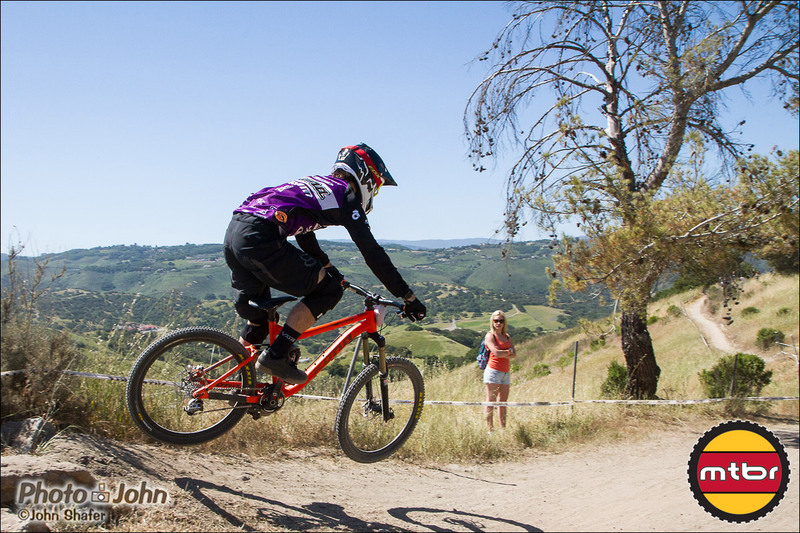 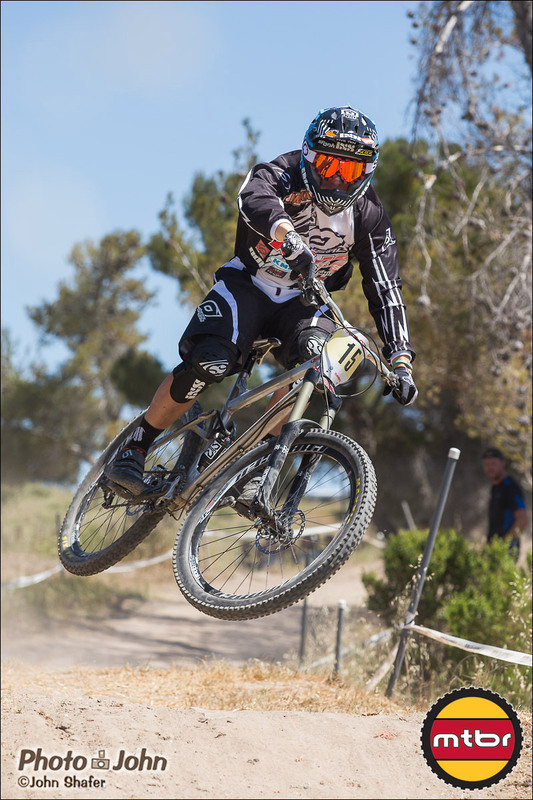 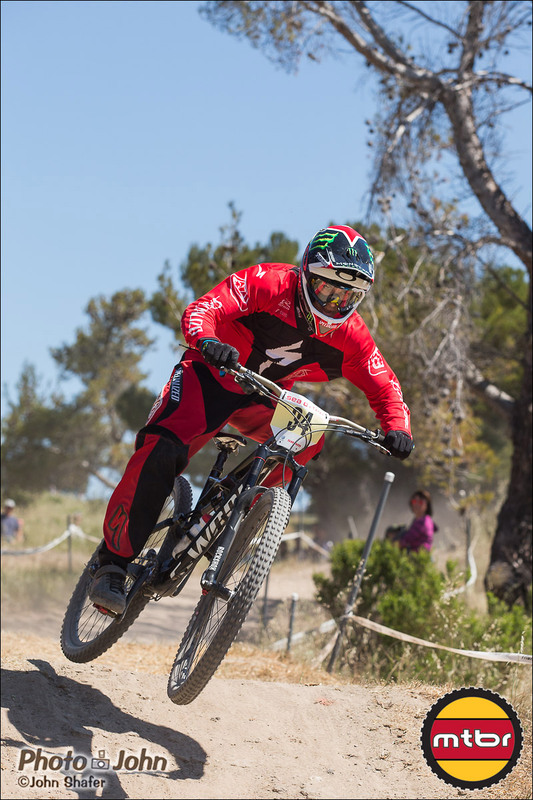 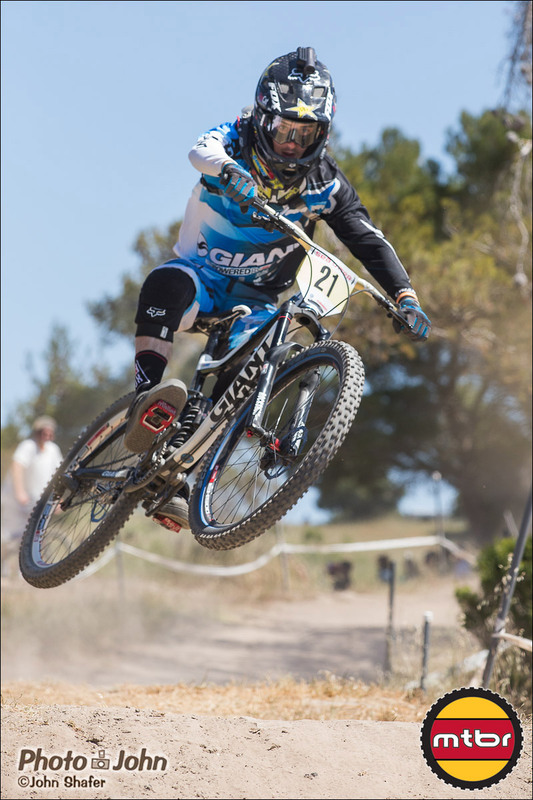 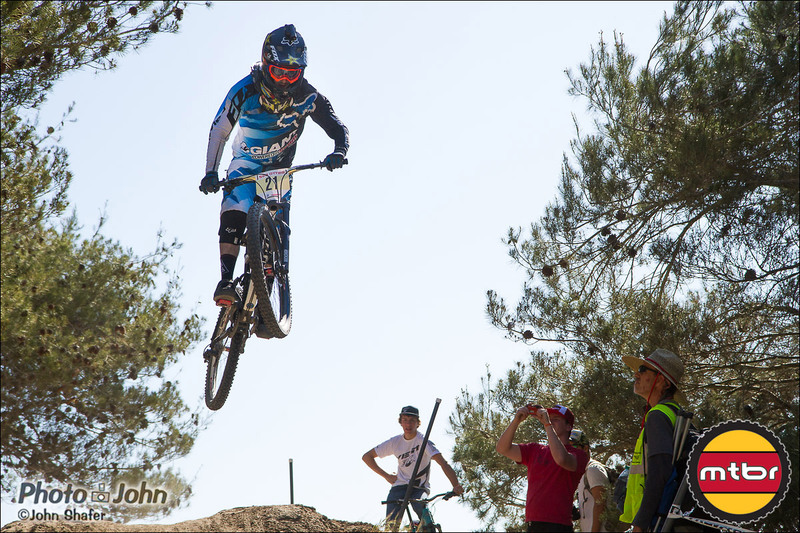 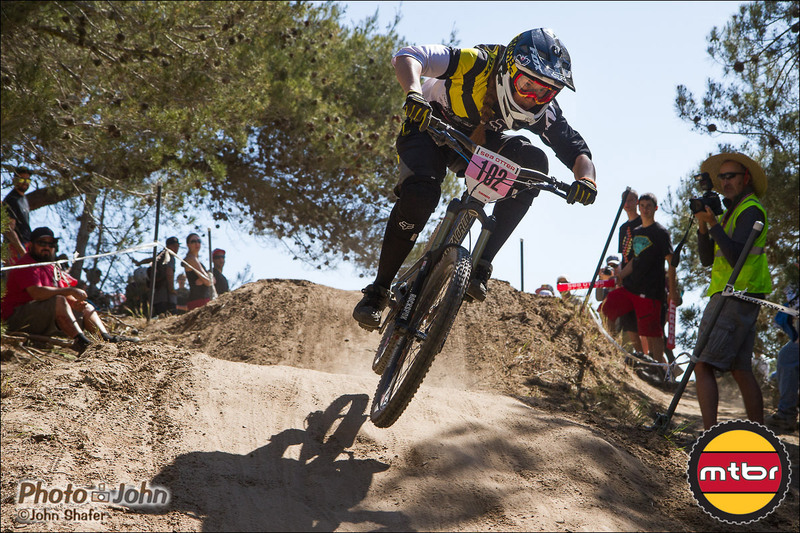 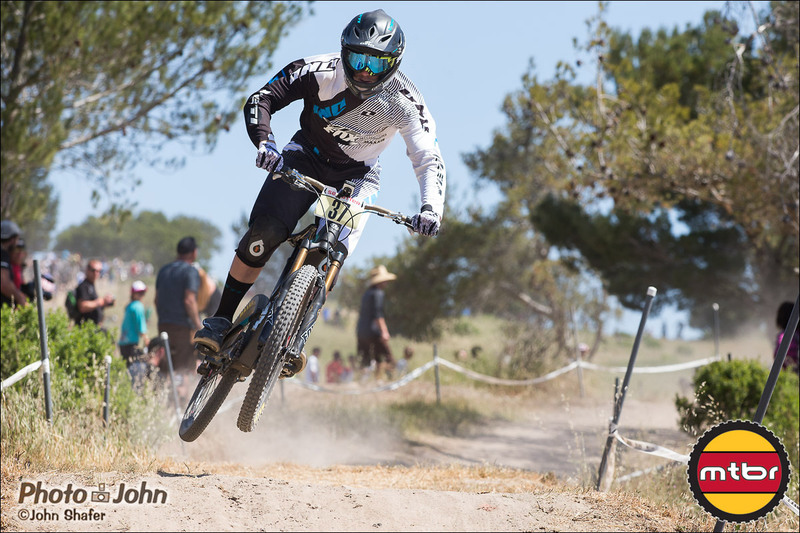 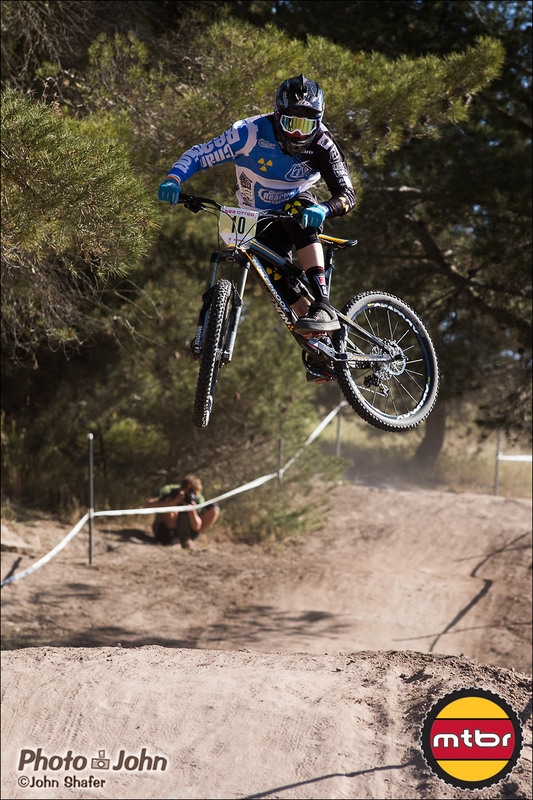 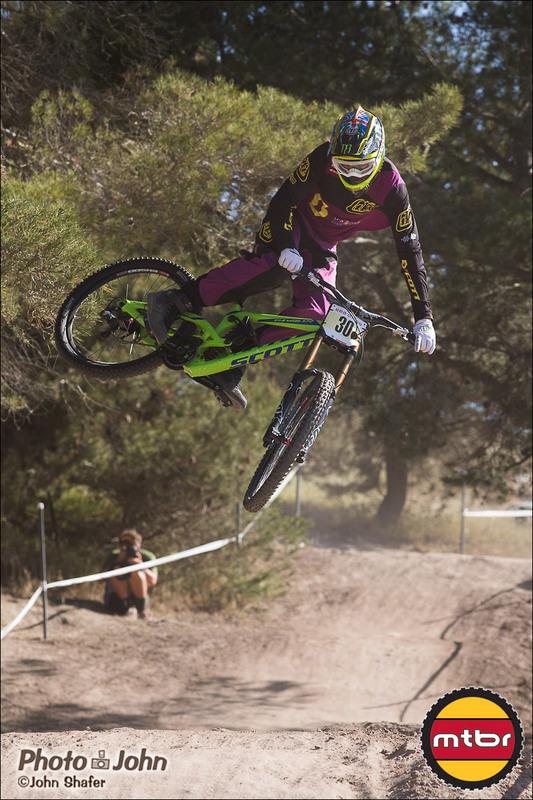 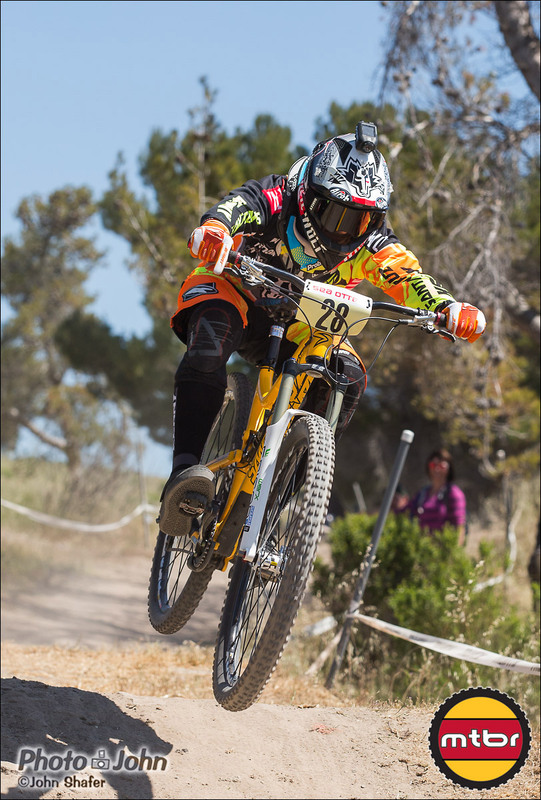 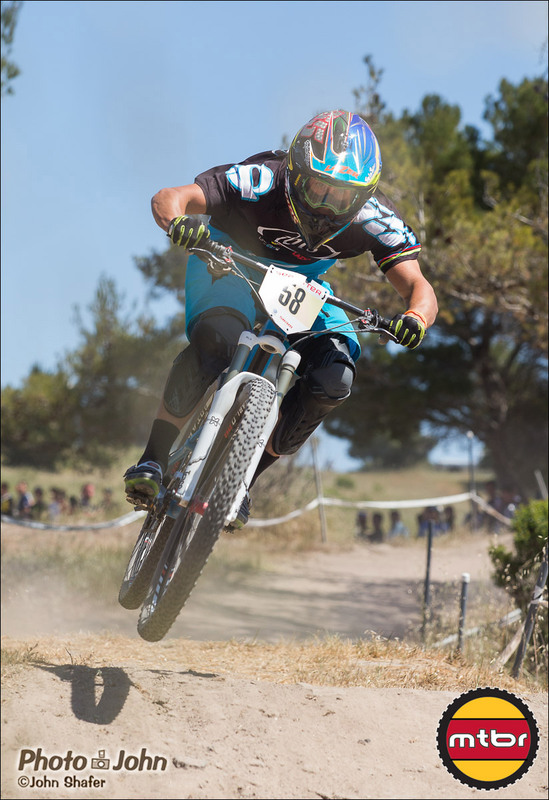 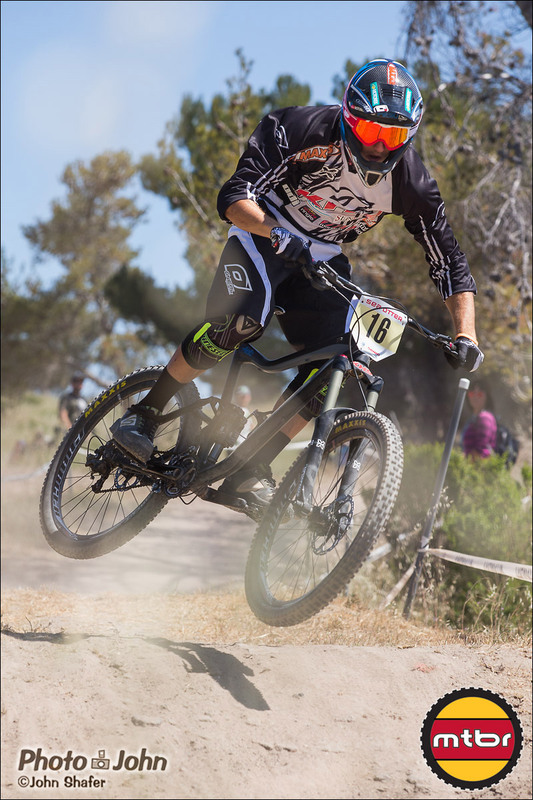 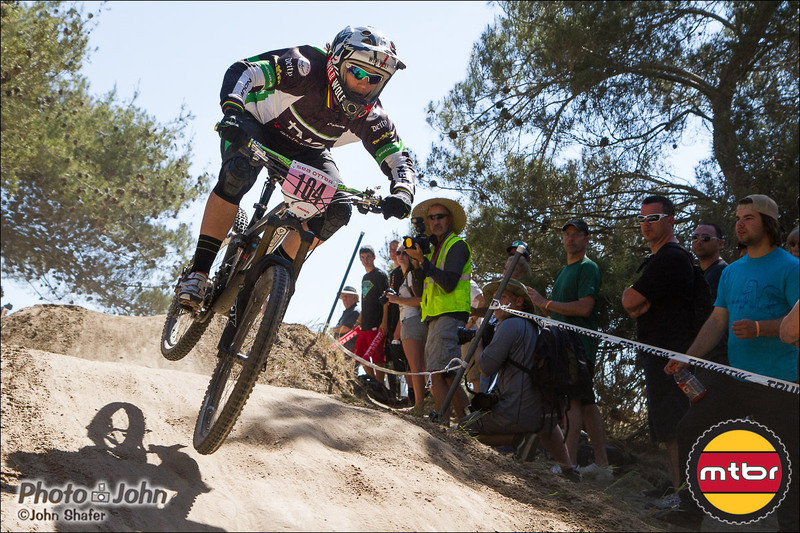 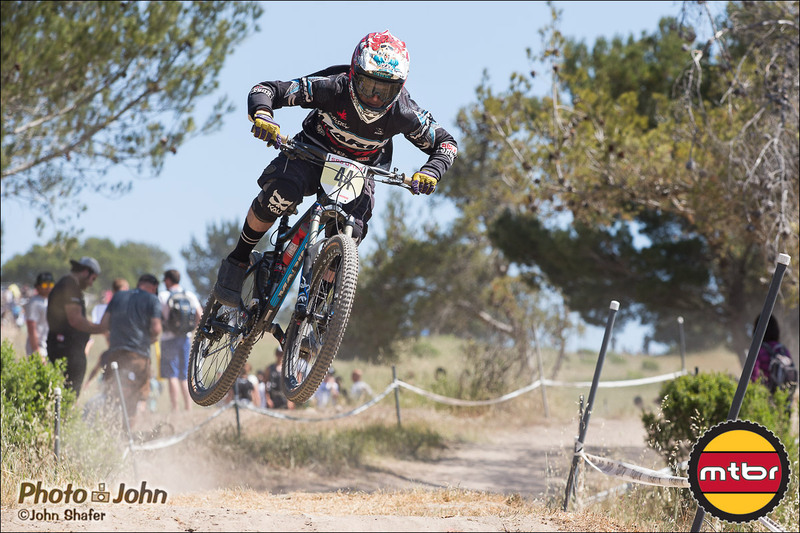 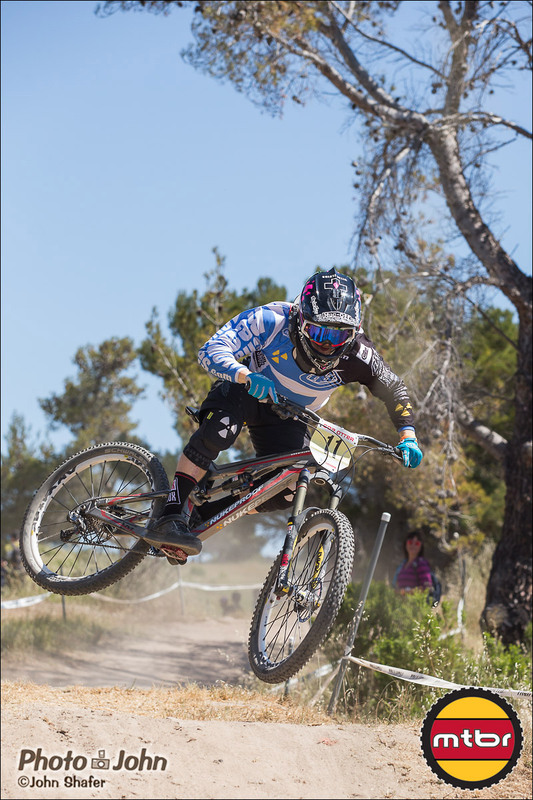 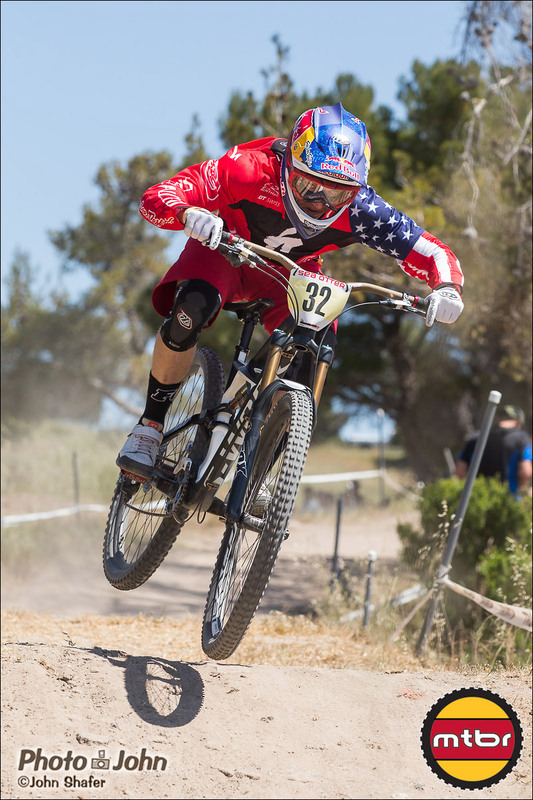 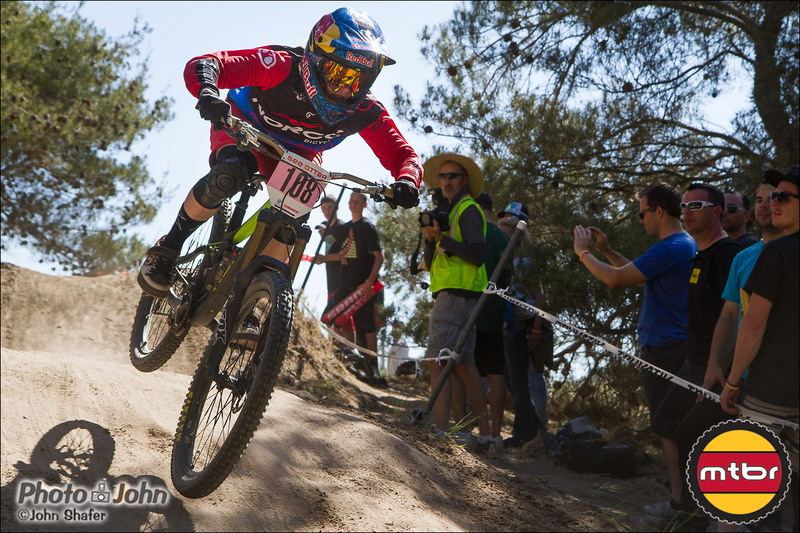 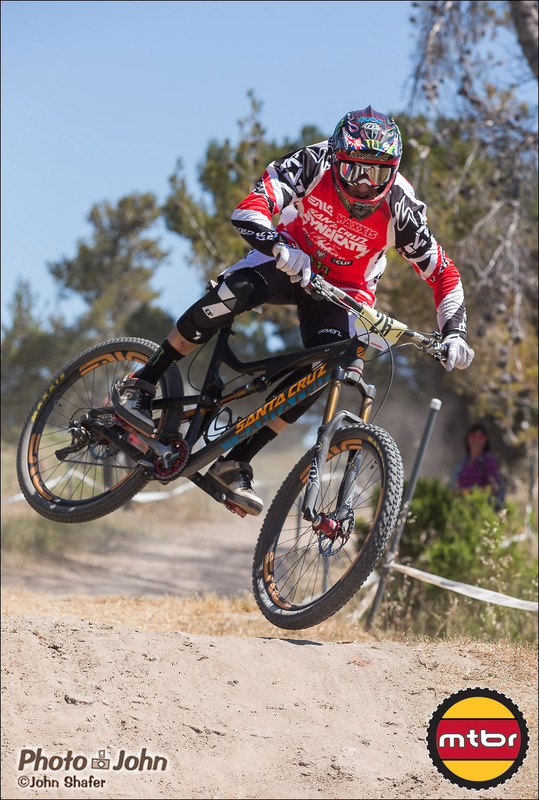 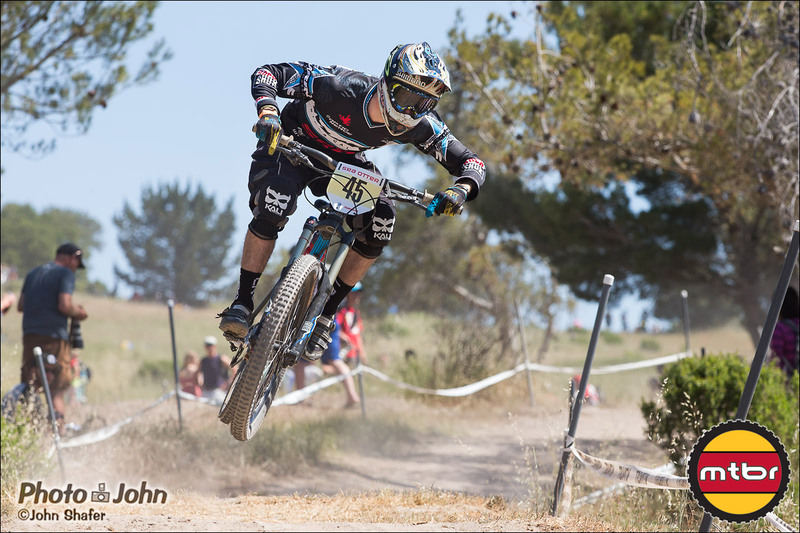 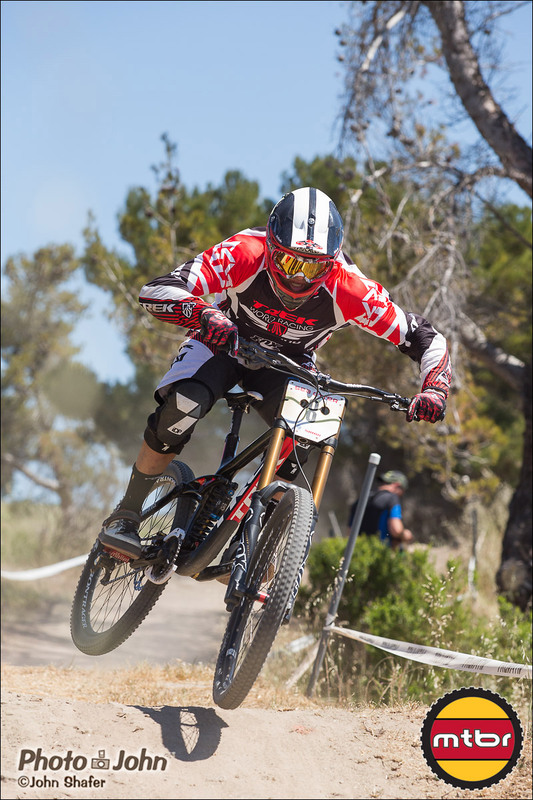 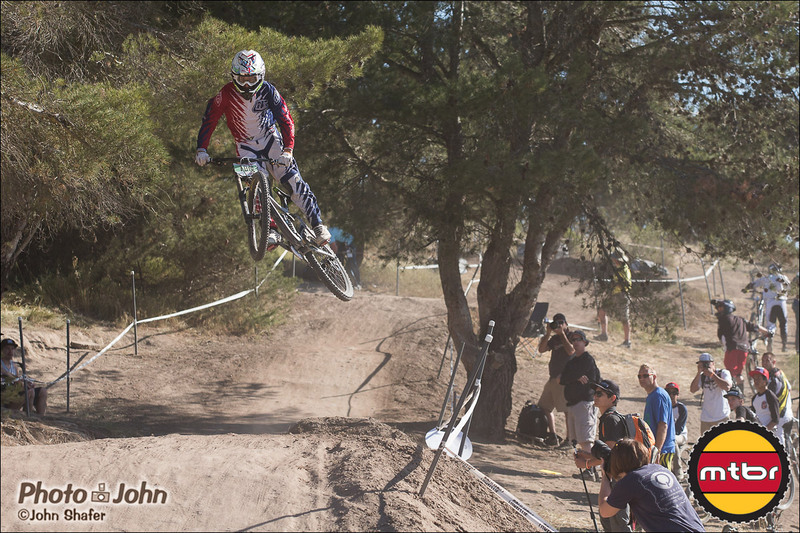 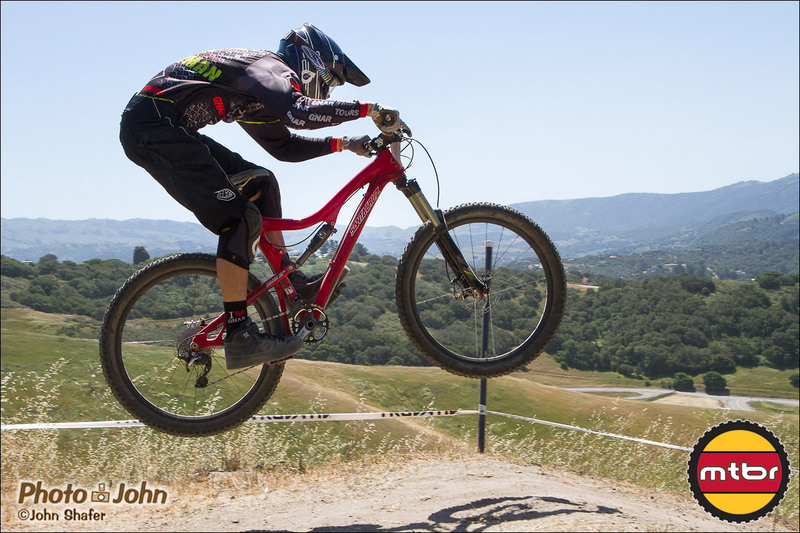 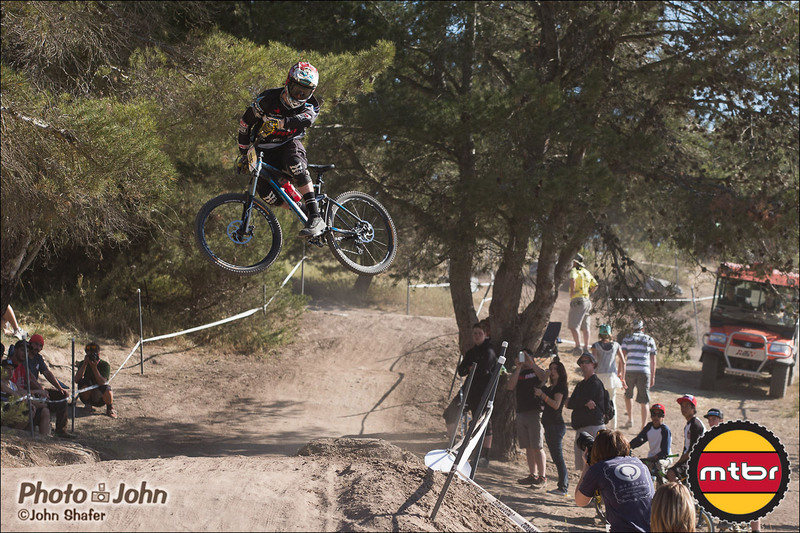 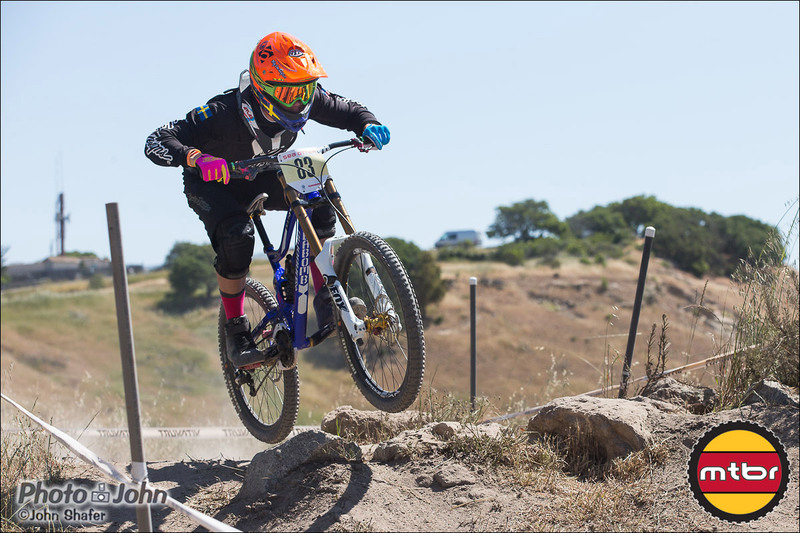 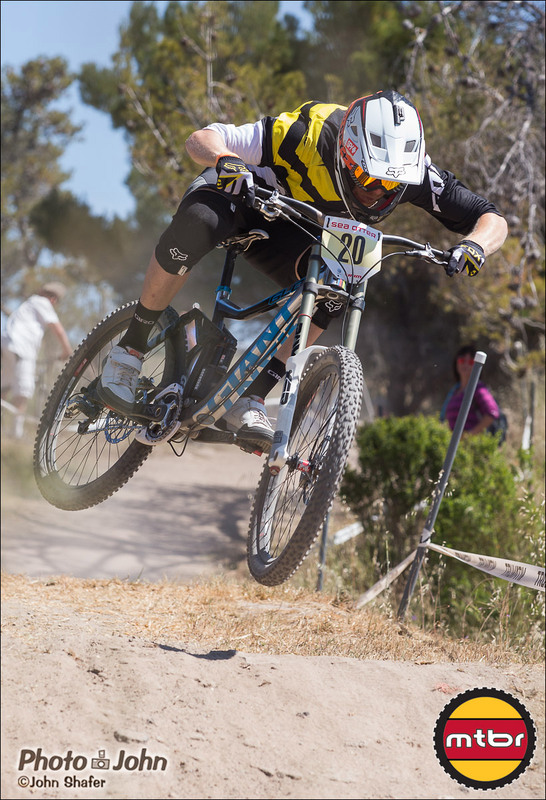 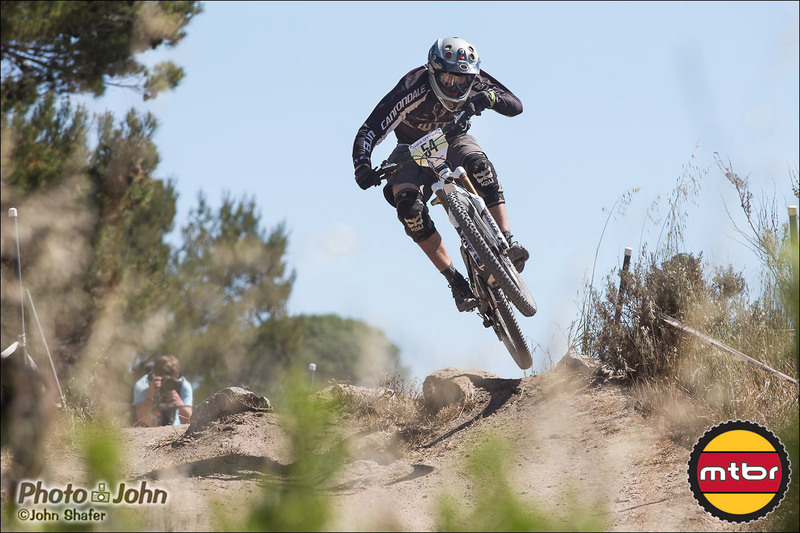 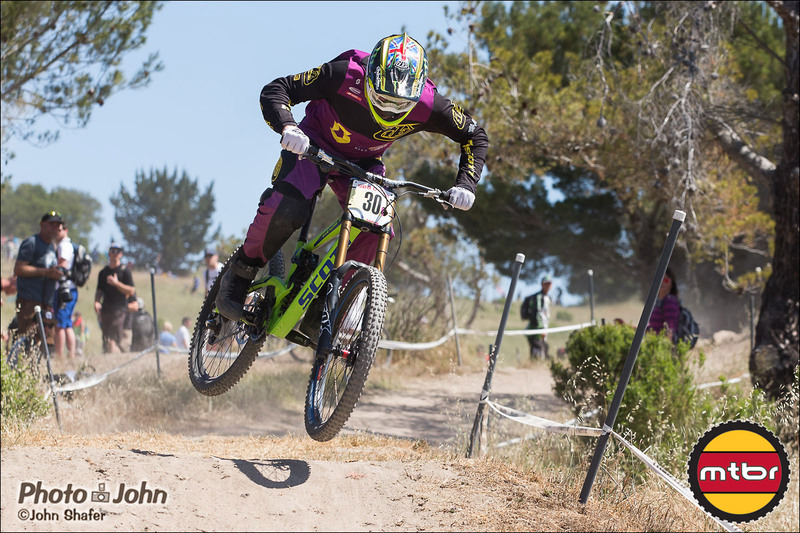 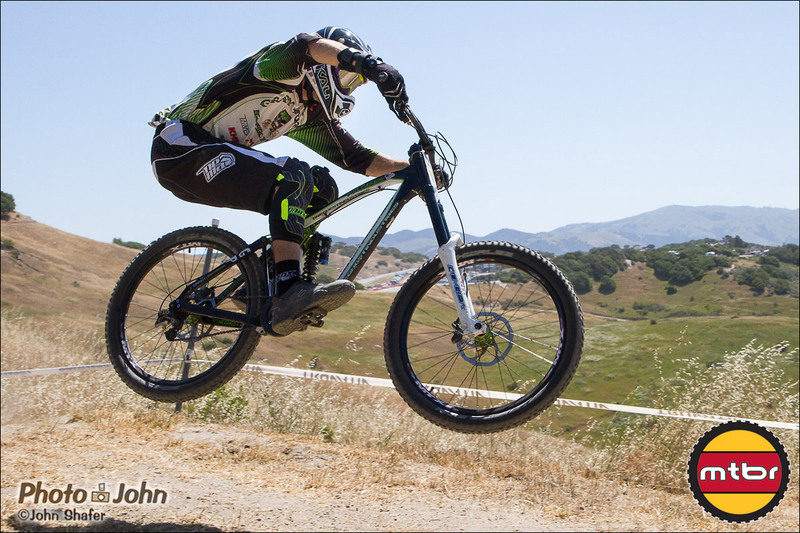 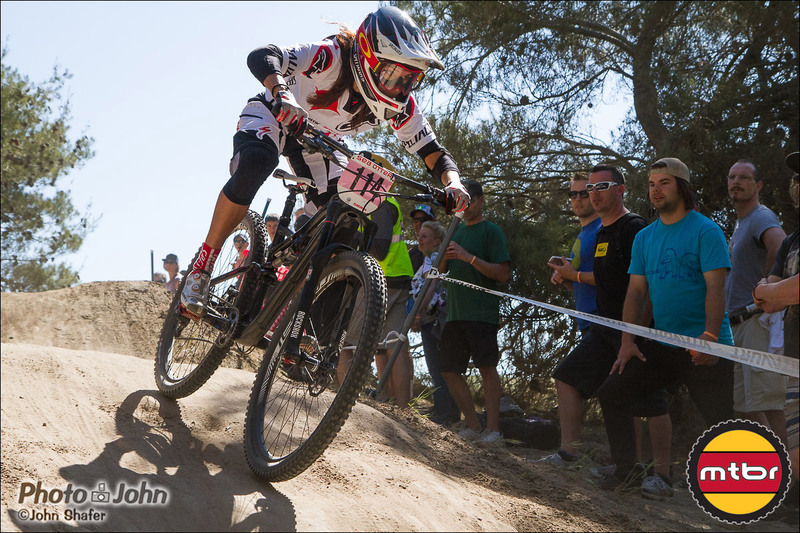 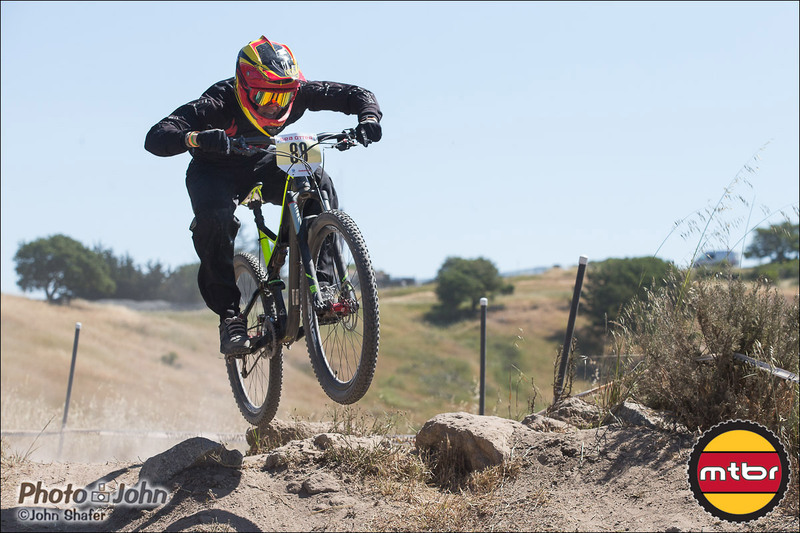 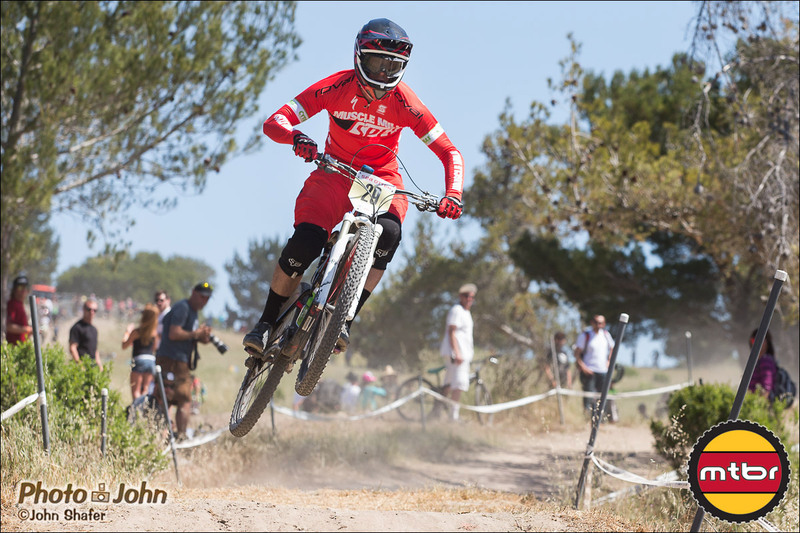 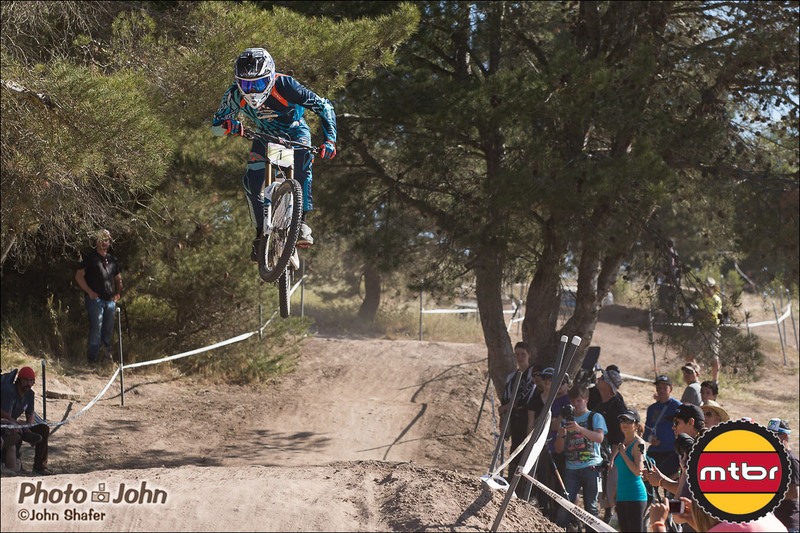 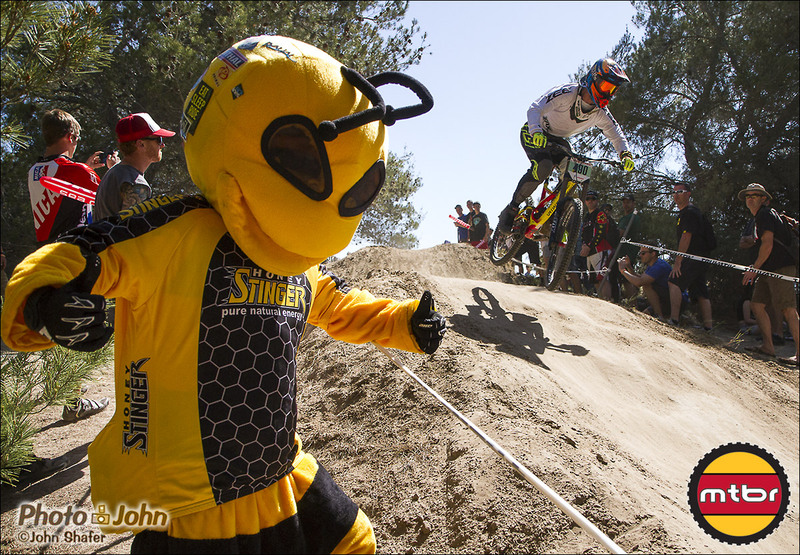 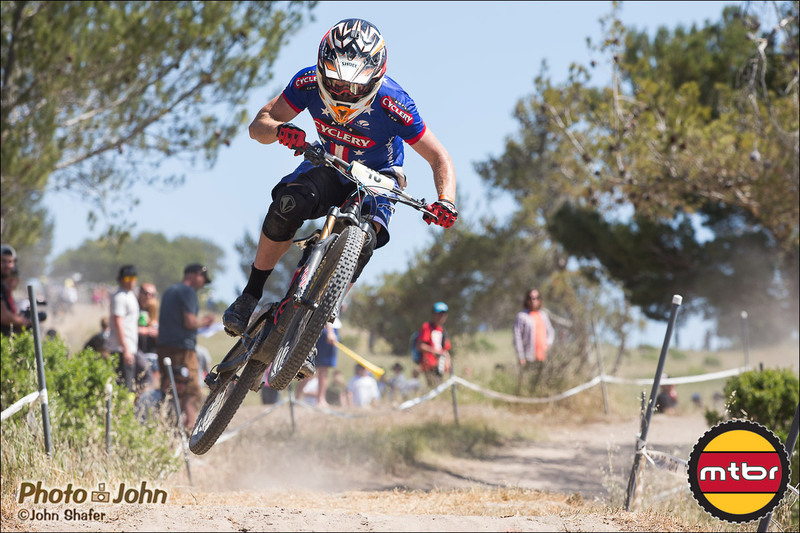 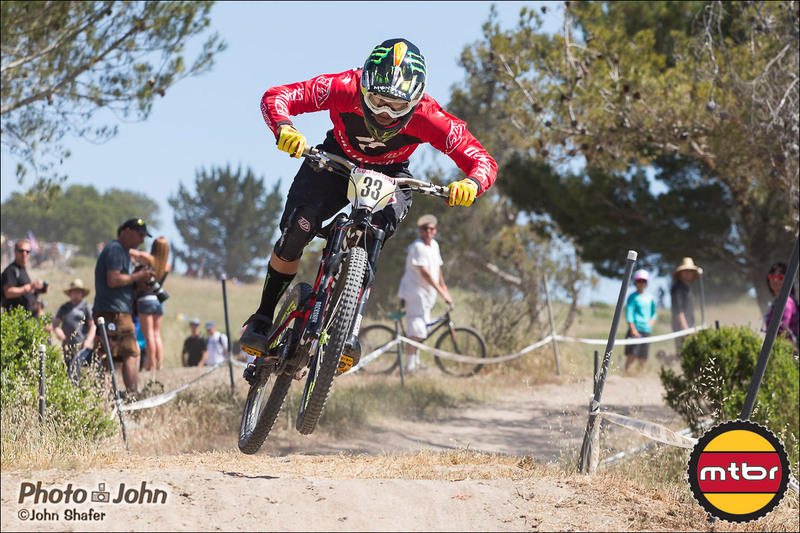 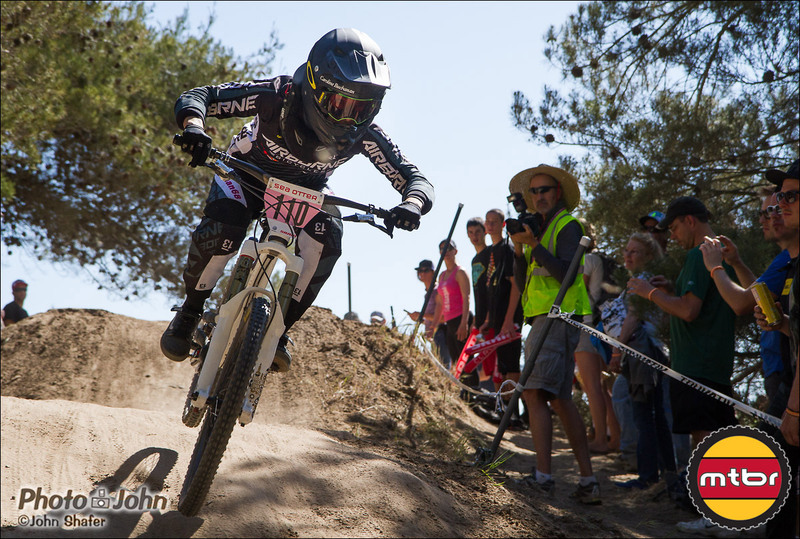 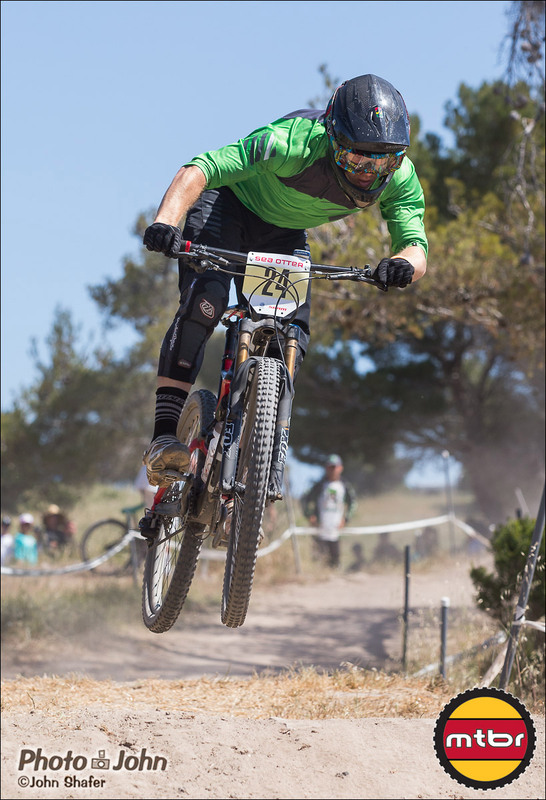 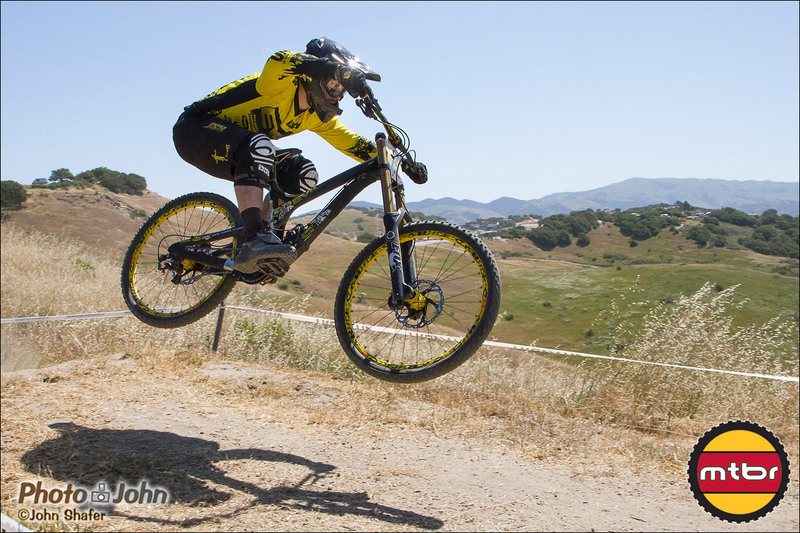 Although everyone agrees it isn’t a “real” downhill course and it isn’t actually part of the World Cup circuit, the Sea Otter Classic is still the unofficial kickoff for the World Cup downhill season. 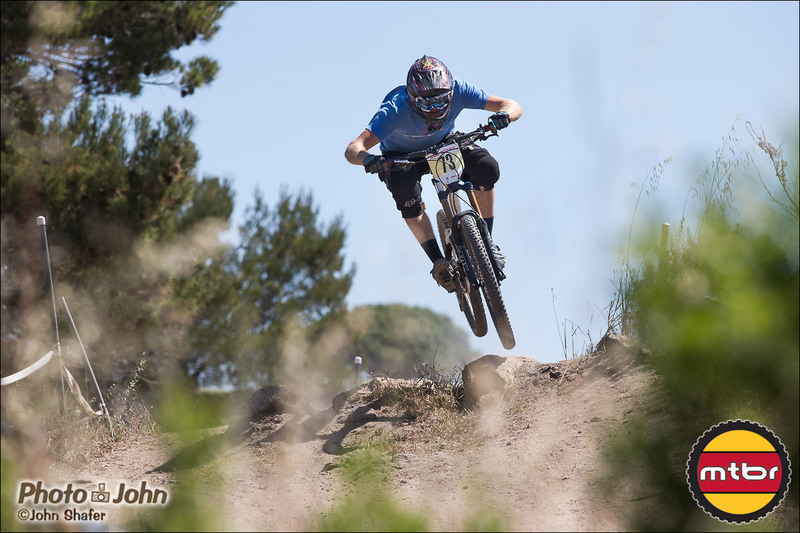 The weather this year was nearly perfect, if a bit dry and dusty. 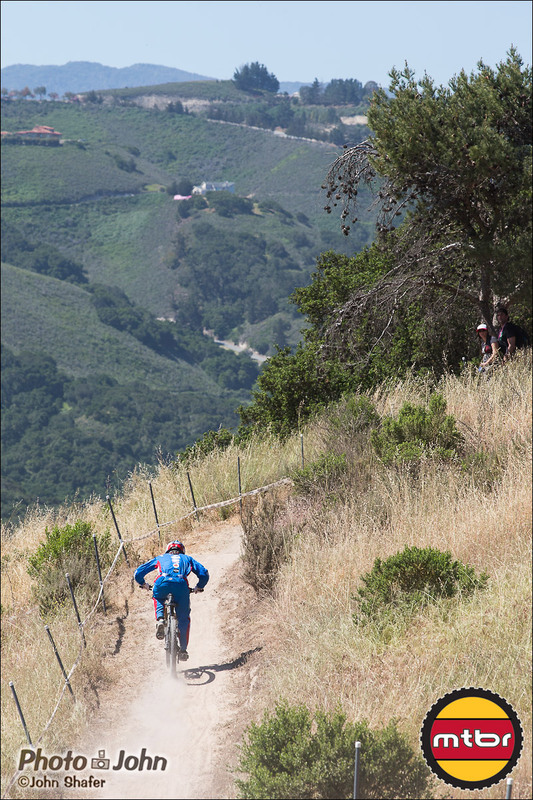 There wasn’t a cloud in site and it never really got too hot. 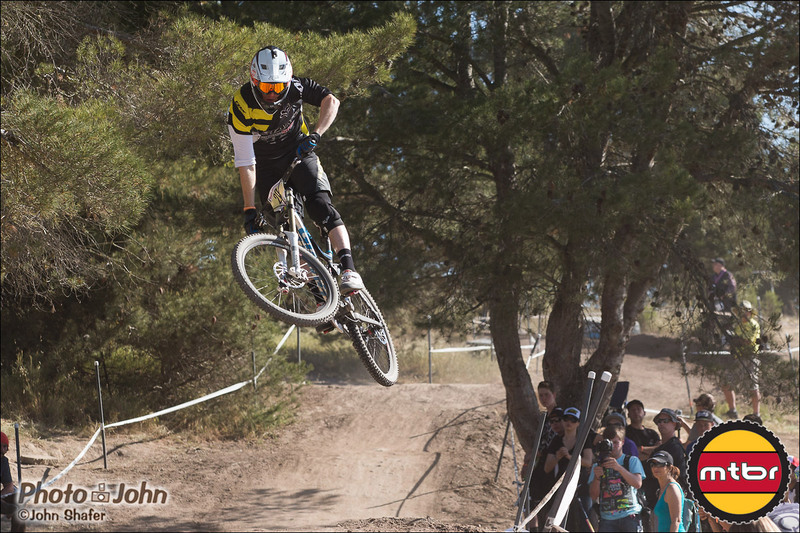 The unofficial whip contest, a.k.a. 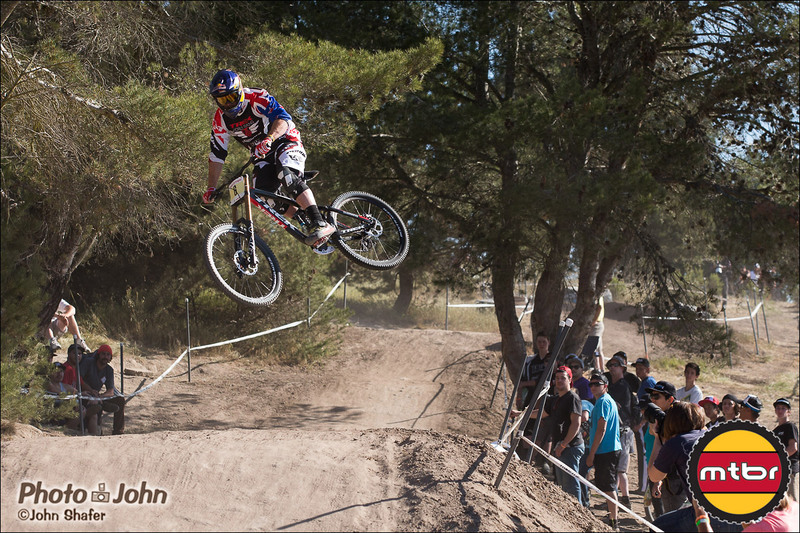 practice, went off as usual, with the pros showing off their aerial skills before the race start. 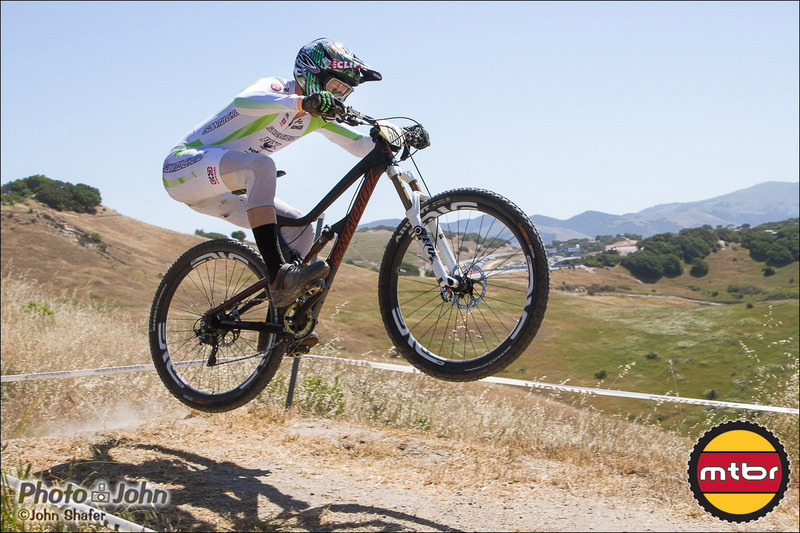 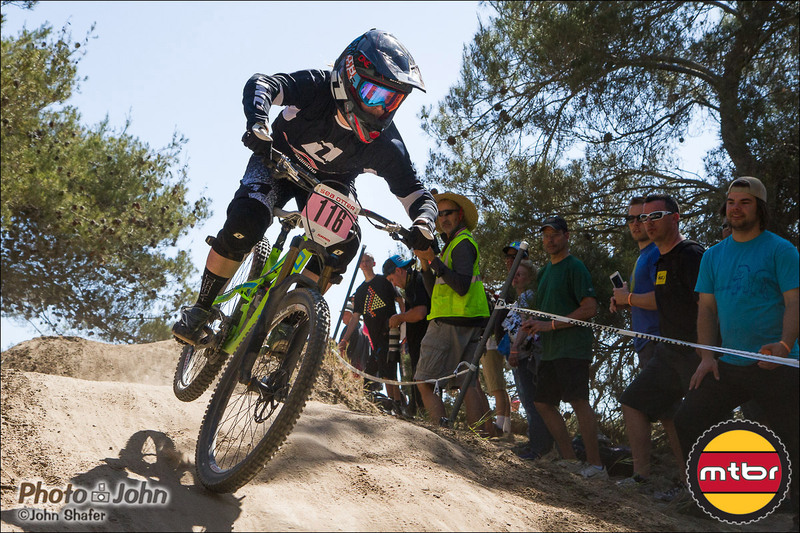 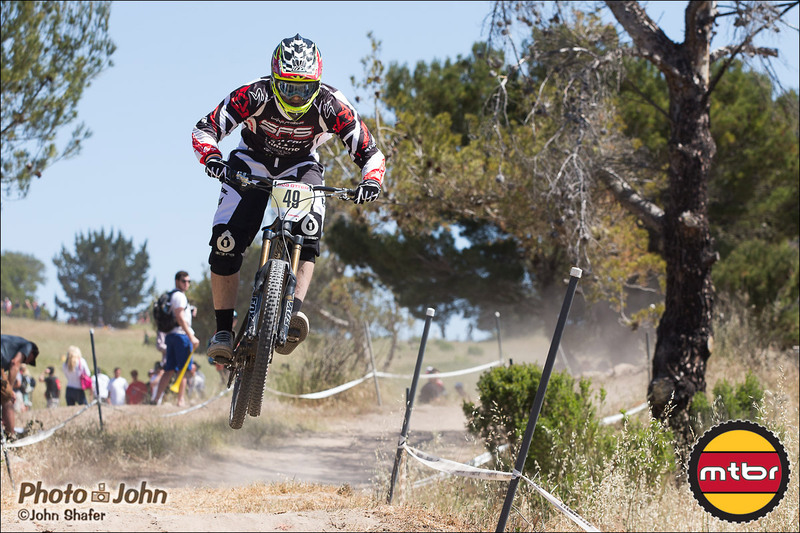 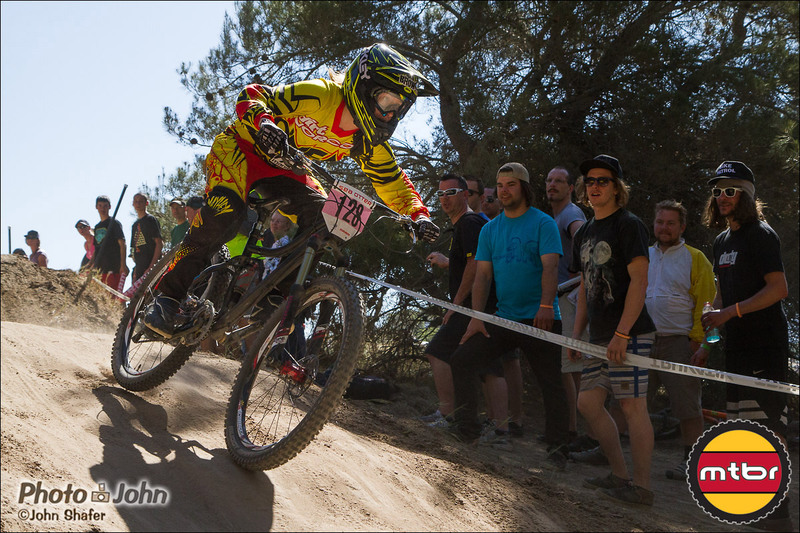 The final results were a double for the US with Jill Kintner winning for the women; and Aaron Gwin, last year’s dominant World Cup racer, starting the season off with a win on his Specialized S-Works Enduro 29er. 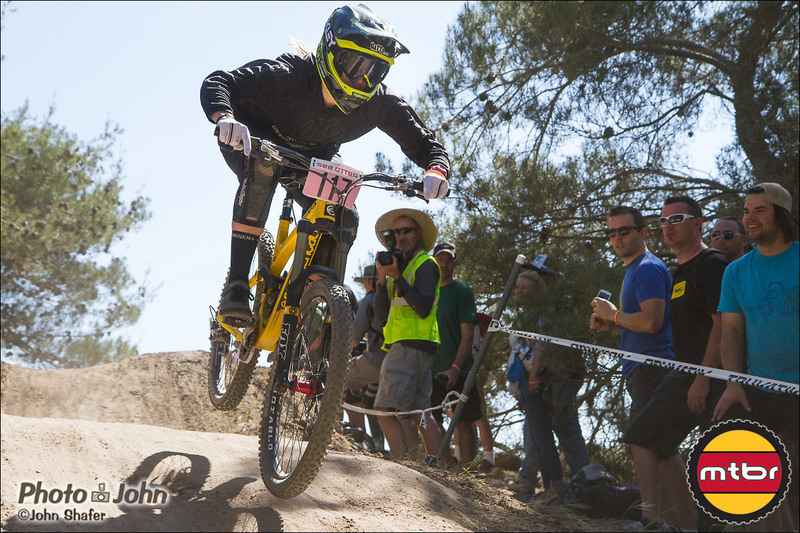 The second and third-place spots in the men’s race were taken by Mick Hannah and Cam Cole. 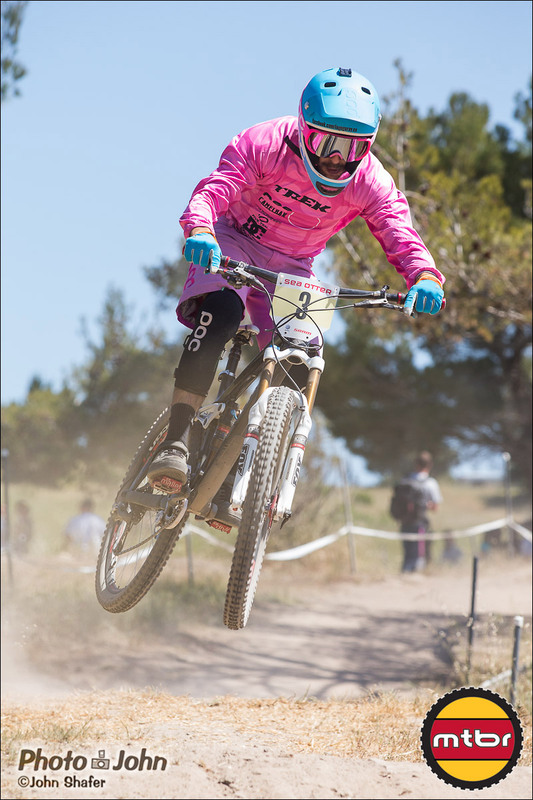 Tracy Moseley and Anneke Beerten took second and third for the women. 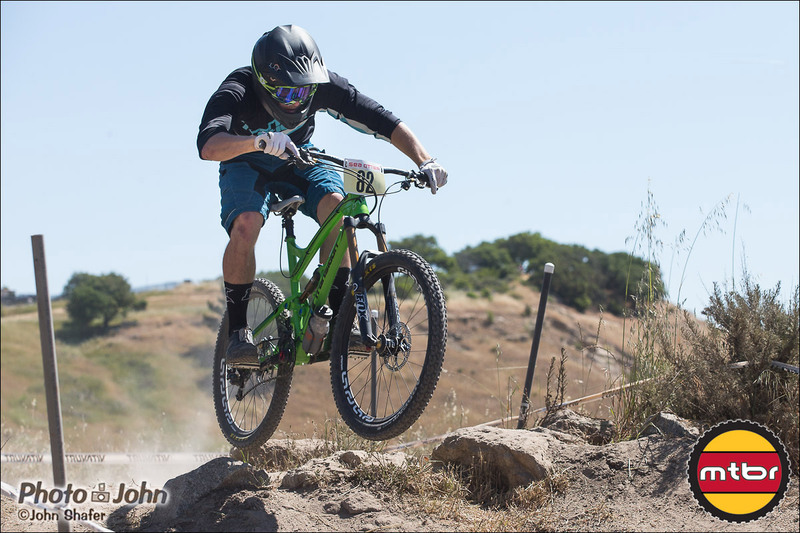 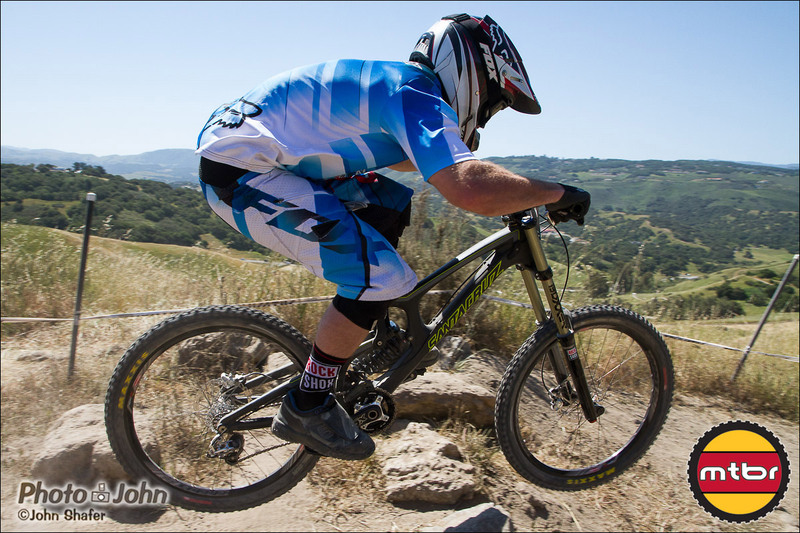 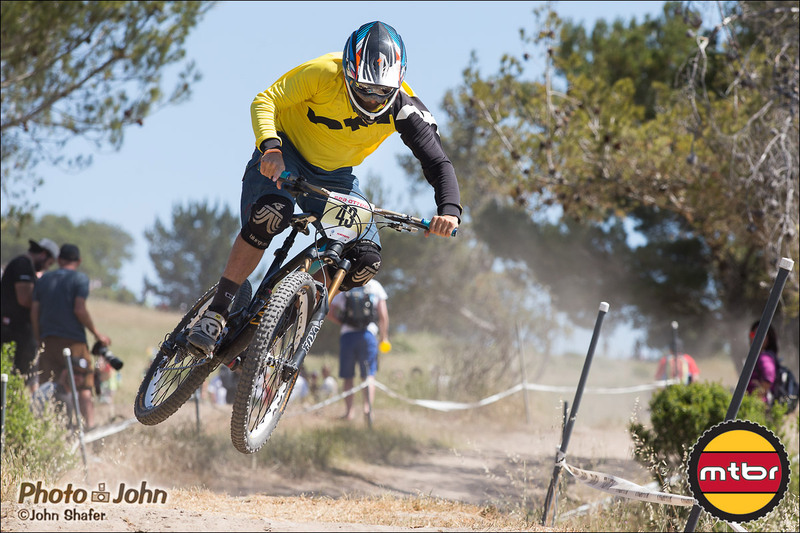 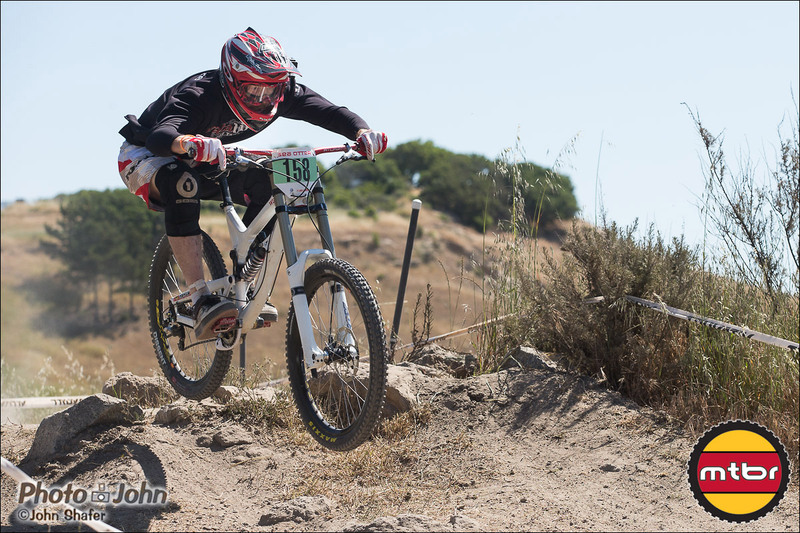 I believe this is the first time the Sea Otter pro downhill has been won on a 29er, although the course is arguably perfect for big wheels since it’s not very technical and requires a lot of pedaling. 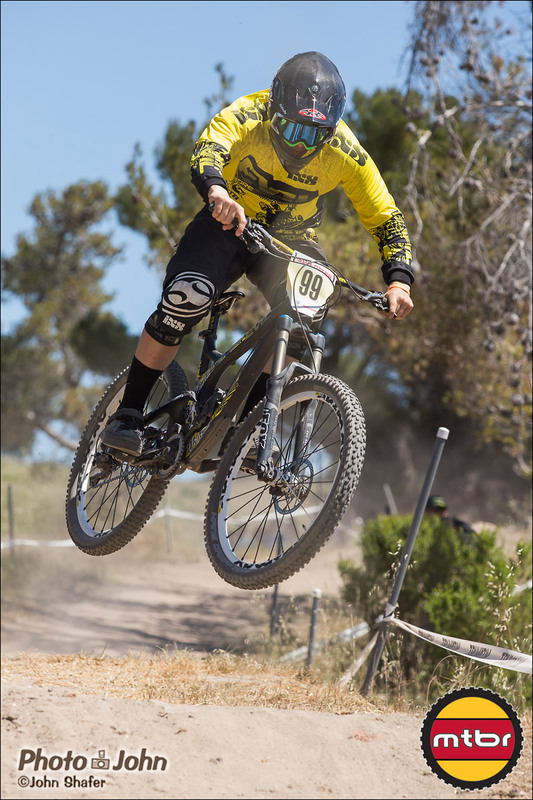 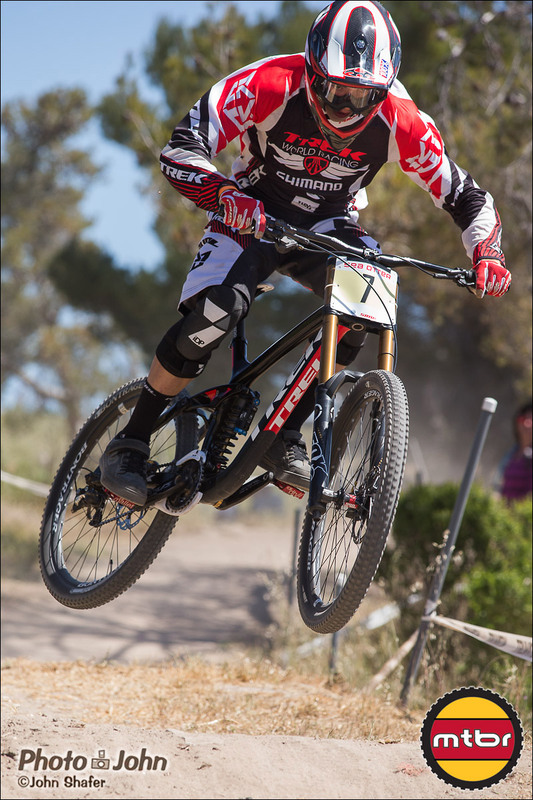 There were a few 650b bikes in the race this year, too – Steve Peat (below) was on the new Santa Cruz Bronson and the KHS boys, Logan Binggeli and Kevin Aiello, were both on their 650b bikes. 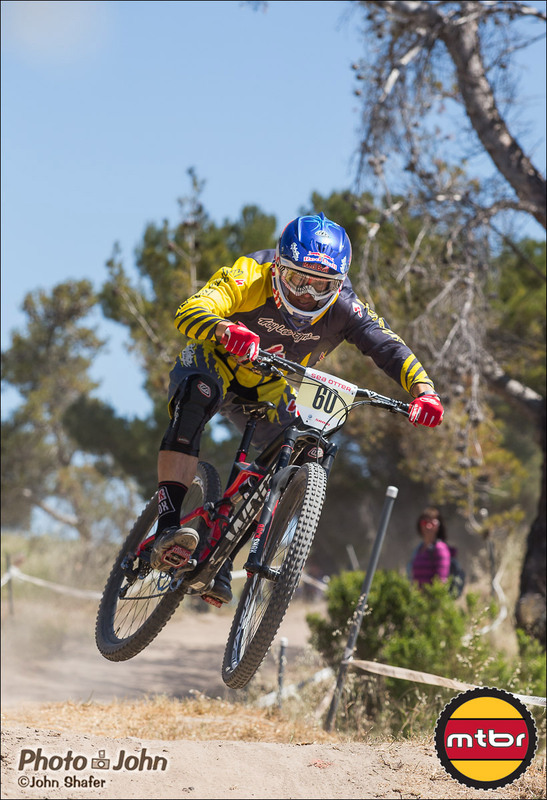 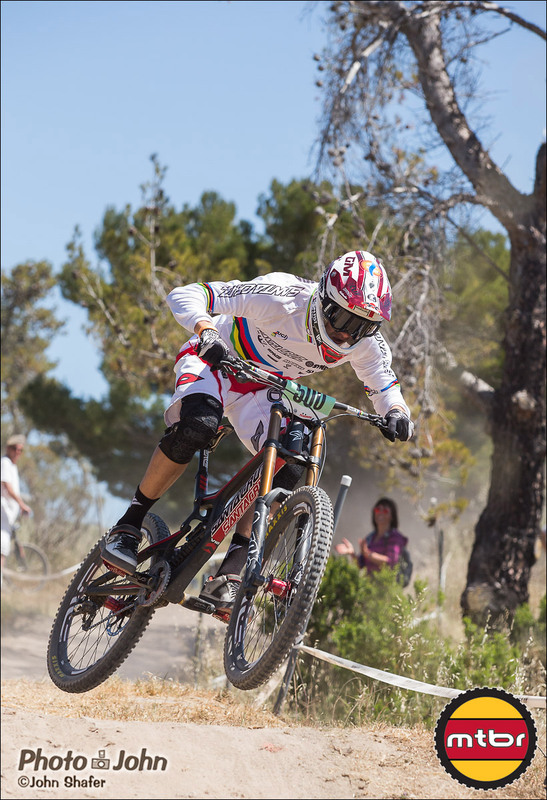 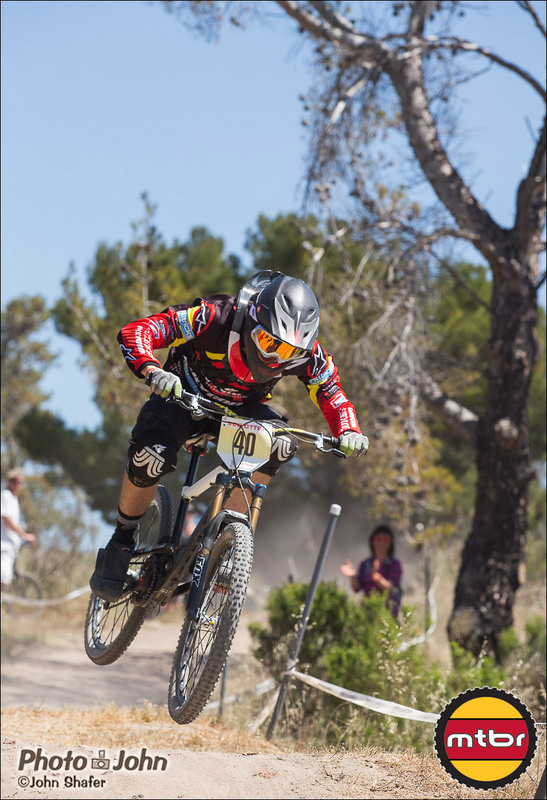 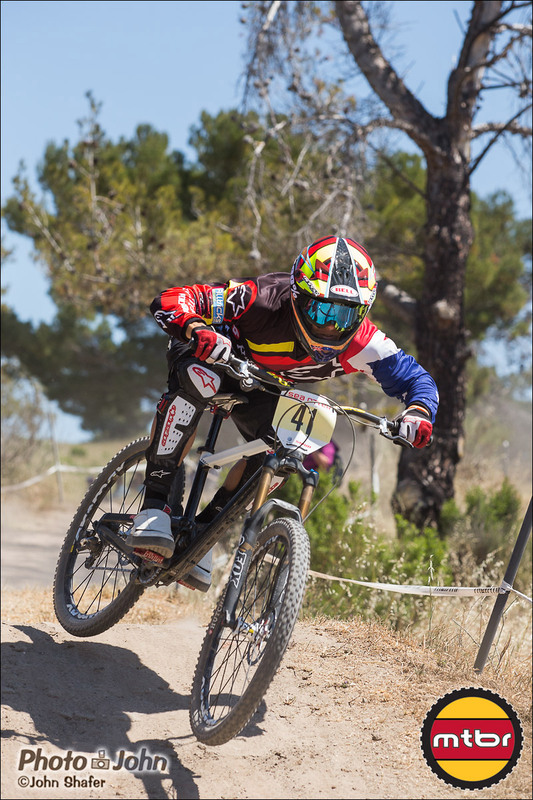 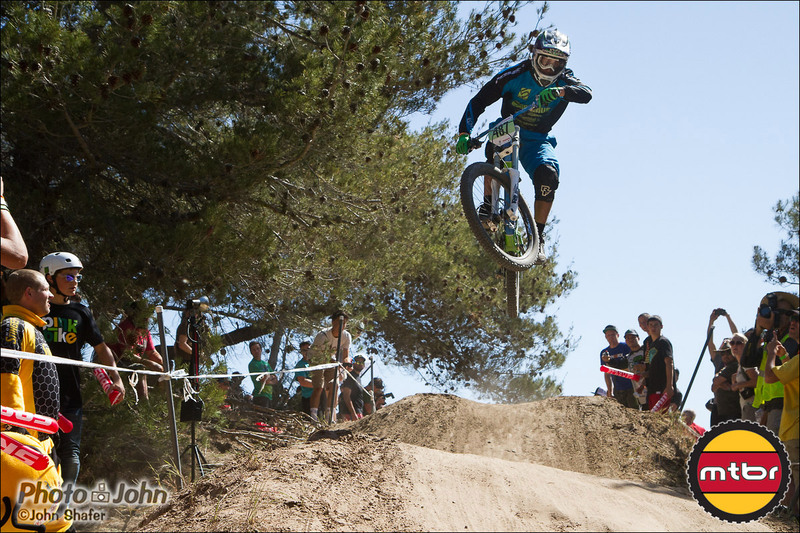 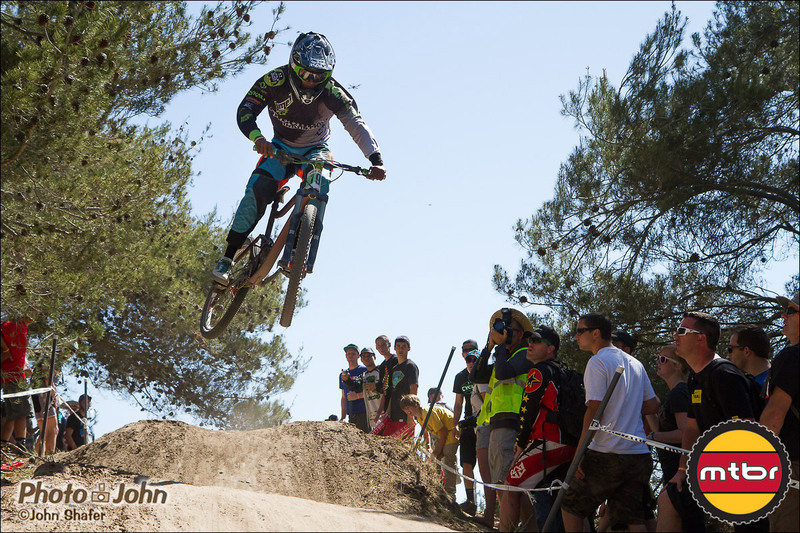 Props go out to Cedric Gracia (below), who spent most of the last year recovering from a terrible crash at the Val di Sol World Cup. 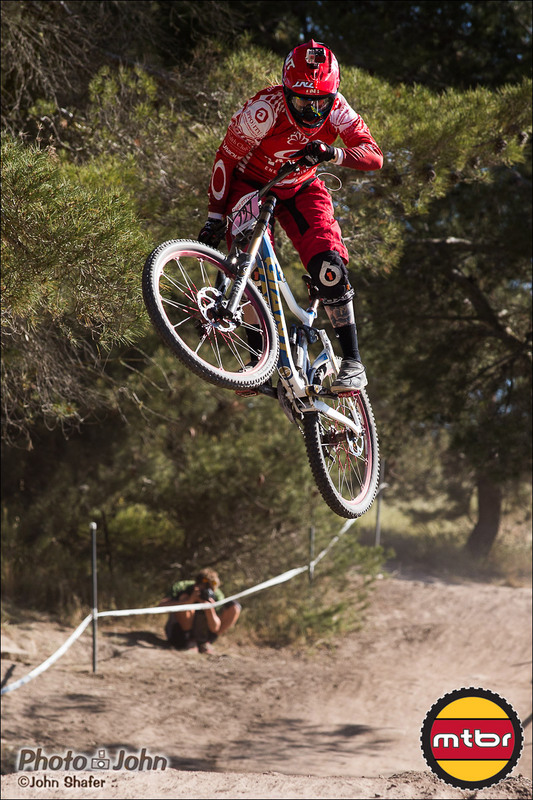 Most people probably wouldn’t have survived, let alone gotten back on the bike to race. 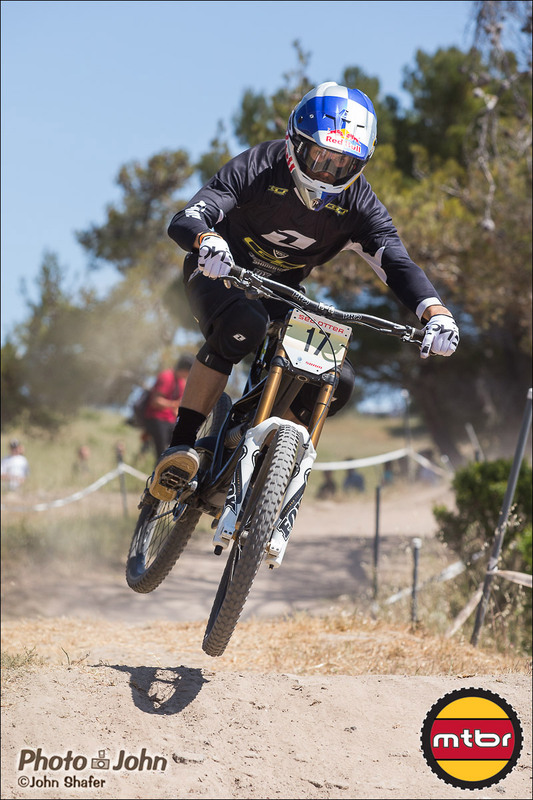 Cedric finished 15th in the Sea Otter pro downhill this year, he’s as enthusiastic as ever and watching him on the bike after what happened last year is an inspiration. 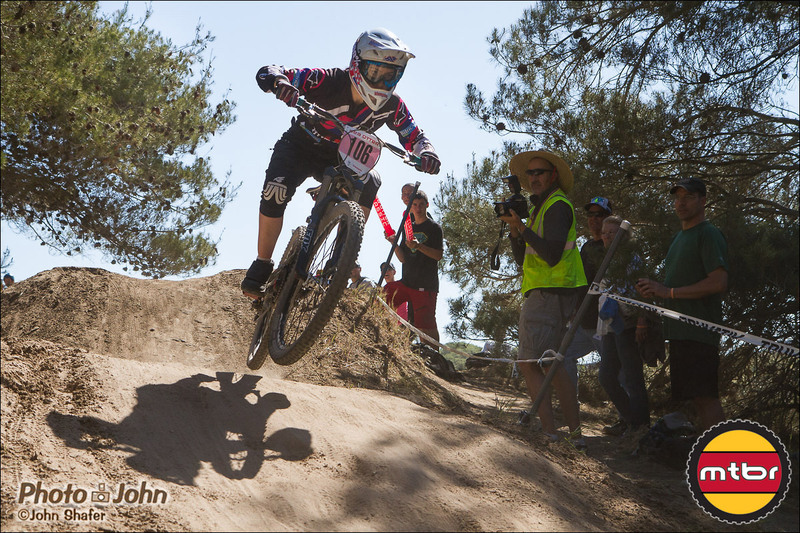 Make sure to scroll down to see all the photos! 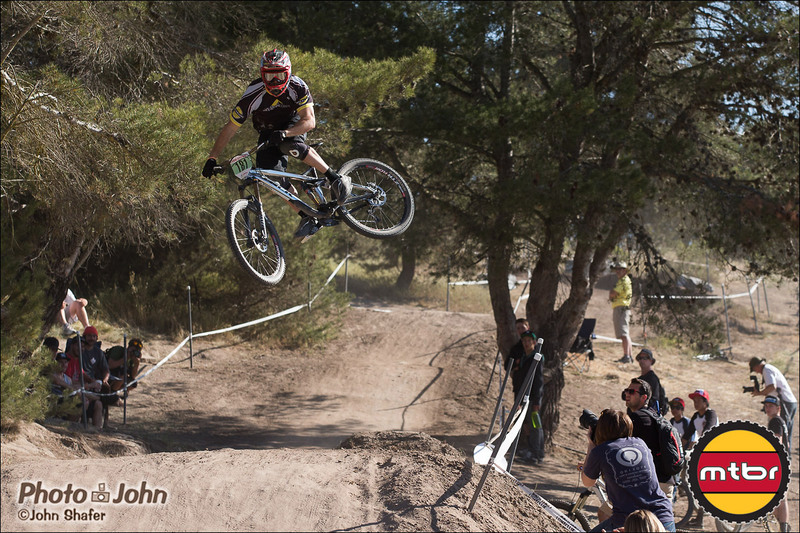 great shots and great jumps! 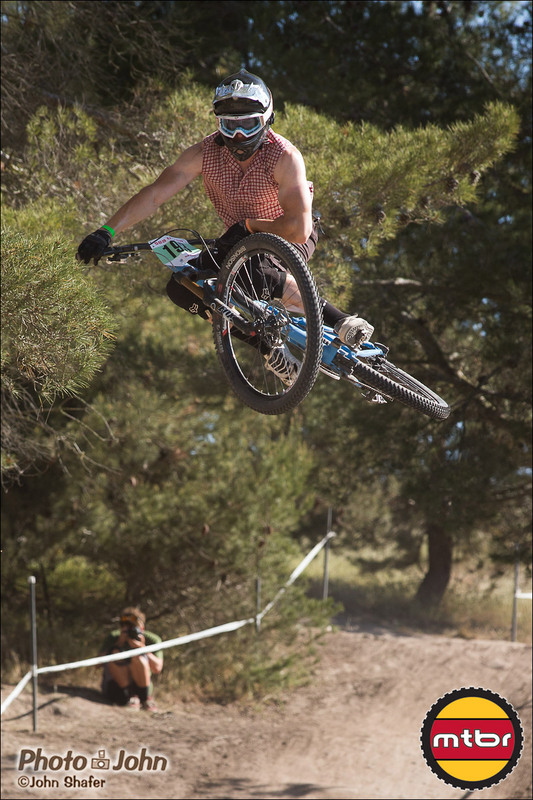 where does this take place? 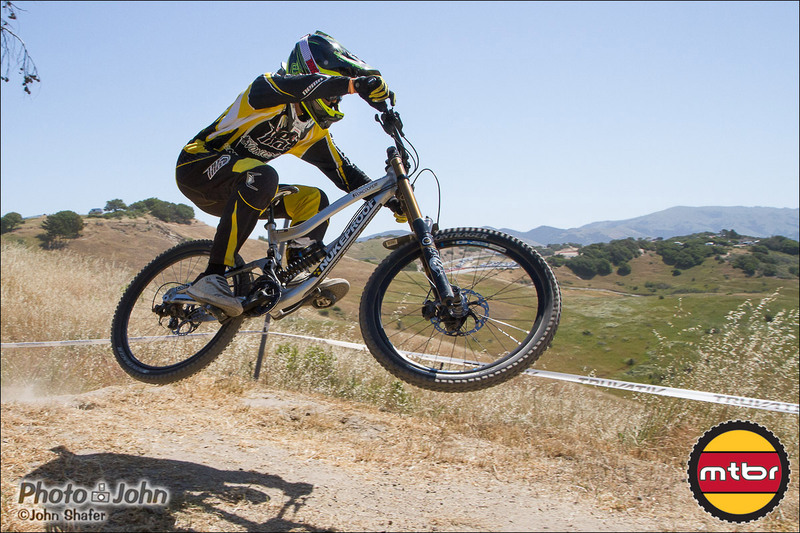 been looking all over for the location with google and cant find crap.